Have a question? Click on a box to see the answer. What makes LEUXO Custom Albums different that other album and photo book websites like Snapfish or Shutterfly? 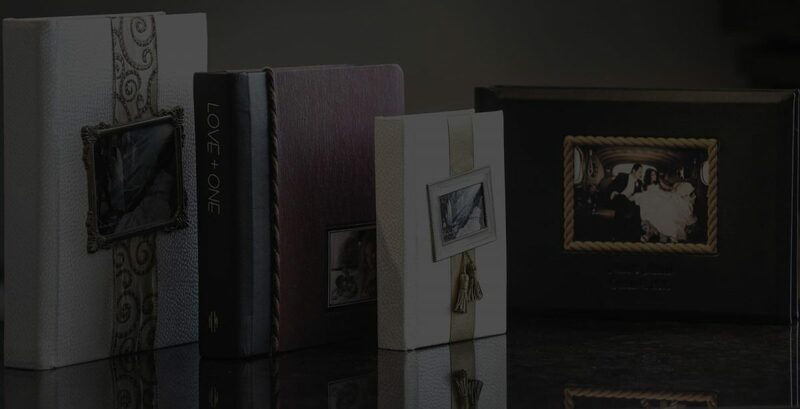 LEUXO custom premium albums are handmade by skilled artisans who have years of bookbinding experience. We use only the finest materials like luxurious Japanese cloth, durable genuine leather, and other fine natural materials that make your album one-of-a-kind. Other online album companies use plastic and vinyl for most of their albums. At LEUXO, We custom design each page according to your photos, other sites make you do all of the work, and often compress your photos leaving them looking less than desirable. Some of them also print the pages using an inkjet process, much like your desktop printer. LEUXO uses Kodak paper and a photo processing lab that uses no ink- think of it as a big dark room. We custom design each page ensuring each photo looks as great as it was when it was originally taken. These are NOT your typical photo albums, these are the albums you would expect from a professional photographer, but around half the cost. Bottom line: It’s like driving a Lexus instead of a Toyota Corolla. How much do your photo albums start at? How does pricing work? Our photo albums start just $99. Our Coffee Table photo book is our least expensive, followed by our Panoramic Style photo album which starts at $165. Next is our Traditional Style album which includes 24 sides for $250. Our Premium Style book starts at $400. Our premium, custom designed photo albums cannot be found elsewhere on the web. That’s why we started LEUXO, we wanted a place where people could come with photos they wanted to turn into a beautiful photo album like they would order from a professional photographer. Ours our better, and at a fraction of the cost. Shipping is anywhere from $8-$20 depending on the photo album for within the United States. How long will it take to get my album? Our standard production time is 14 business days. This does not include shipping time, which can be anywhere from 2-7 business days for order within the United States. How do I send or upload my photos to you? After checkout you will be taken to a page to upload your digital photos. Simply drag and drop your photos and they will be securely sent to us for production. Will I get to see what the pages look like before I get my album? Yes, we will send you PDF previews of the pages for you to approve or change, about one week after your purchase and receiving your photos. What types of material do you use for your photo albums? All of our albums are custom made for each client. How are your albums made? Our albums are made by hand using traditional bookbinding techniques that have been passed down from older generations and improved with technology advances. The cover material is stitched by hand on to the album after the pages have been developed. The designs of the pages are developed by professional graphic artists on the computer using your photos. All of our albums are made by hand. We do not use mass machines to print, cut, and bind albums like 95% of the other online photo album stores. Where are the photo albums made? We have a studio just outside of Chicago, Illinois. What layout options do I have for my album? Our albums are available in multiple layout styles – Panoramic and Traditional. In Panoramic Albums your photos stretch across the entire page without any breaks in the middle. Traditional albums have a narrow gap between the left and right side of the page, making the album thicker and more durable. Both albums lay completely flat when opened. We also feature our Premium Photo Albums and Coffee Table Albums. What are the photo pages made out of? All photos are printed on genuine photo paper and are then mounted onto durable PVC backing that preserves your memories in our one-of-a-kind album. What happens if i'm not happy with my photo album? If you are not completely satisfied with your photo album we will make you a new one at no cost, or refund your money.